I love this book. I love how it is funny and makes fun of the characters without being mean-spirited or making the heroes seem less than competent. It reminds me of the good old days of the Giffen/DeMatties Justice League, save that the heroes here are actually good at their jobs. 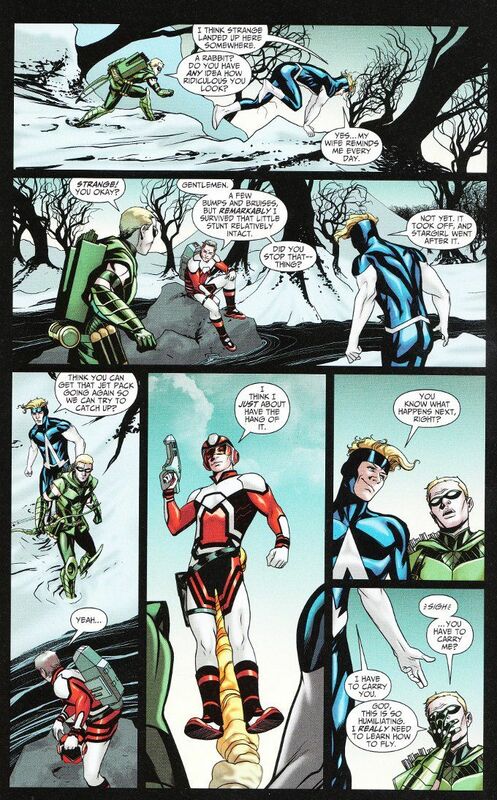 What Jeff Lemire is doing here shouldn't seem so revolutionary. And yet, it is. We see superheroes who act like real teammates - not allies of convenience who tolerate each other, at best, because they need someone to watch their back during the next epic brawl. This new Justice League truly is United and the team spirit lacking in other recent supergroup books by DC Comics is very strong here. The artwork by Mike McKone is as enjoyable as Lemire's story. 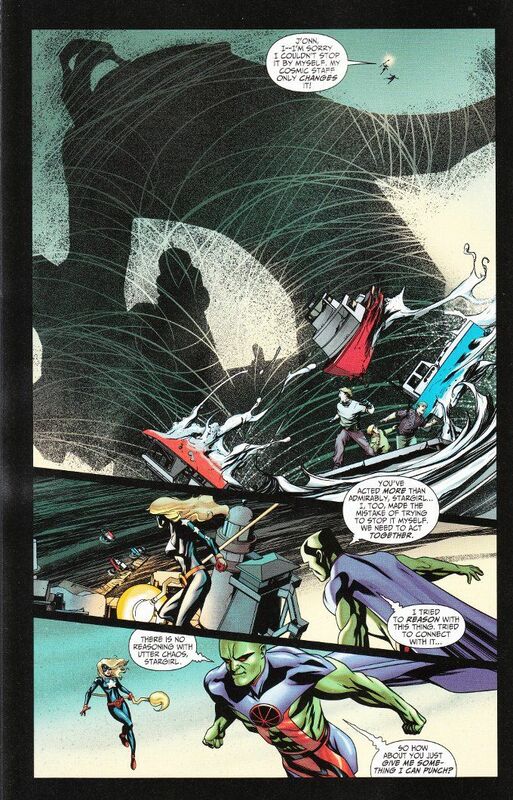 McKones figures are big and bold and his action sequences well choreographed. Really, the only flaw with the artwork is the palette used by colorist Marcelo Maiolo, who uses an off-white for Caucasian skin that is not far removed from the same white color used for snow.